There are so many reasons to love orchids—the most obvious one being that they’re incredibly gorgeous. But beyond that, they instantly make any space feel more elegant and alive (which is why, if you come over to my house, you’ll find an orchid in just about every room, bath included). And unlike cut flowers, a potted orchid will last you months and requires basically zero maintenance (I just toss one or two ice cubes on mine every few weeks to keep them hydrated). 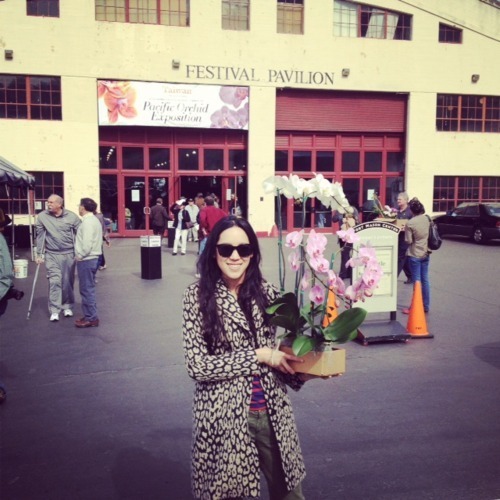 I recently took my orchid obsession to new heights with a visit to the San Francisco Orchid Society’s annual Pacific Orchid Exposition. Imagine a cavernous pavilion filled with more than 150,000 flowers from around the world—heaven! There were rare hybrids and prize-winning specimens in mind-bendingly beautiful colors, shapes and sizes I’d never seen before. Happily, there was also a giant sale section with vendors from all over the state. If you missed this year’s show, don’t fret: Beautiful Orchids offers an extensive range of potted orchids that can be shipped right to your door. 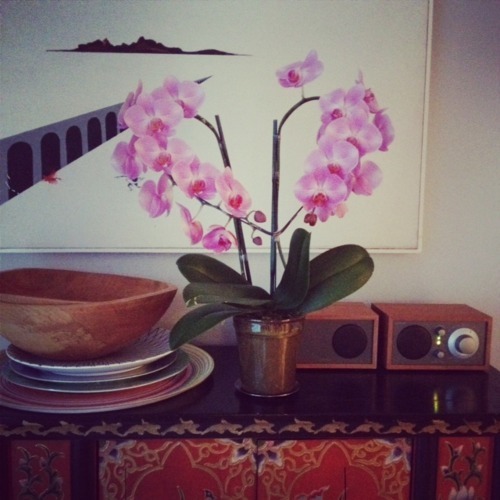 I took home two lush phalaenopsis orchids, one of which had been molded into the shape of a heart—how sweet is that?! This entry was posted in Uncategorized and tagged emily hsieh. Bookmark the permalink.